Convening early-bird registration closes soon! 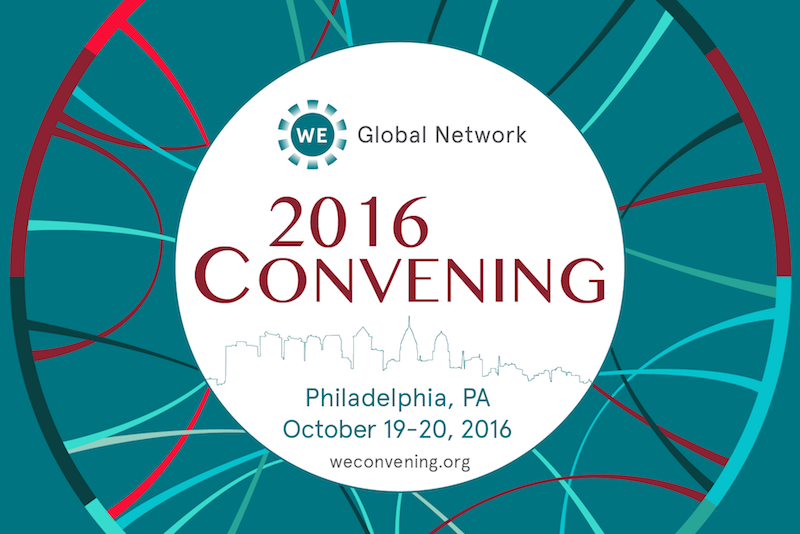 This October, join your peers from across the Rust Belt for the Welcoming Economies Global Network (WE Global) 2016 Convening in Philadelphia, which weaves together cutting edge policies, successful programs, innovative ideas, and a network of trailblazers in the emerging field of immigrant economic development. The Convening is an opportunity to exchange and learn about the growing energy and momentum of local initiatives in the Rust Belt with over 300 attendees and our growing network of community leaders working to welcome, retain, and empower immigrants as valued contributors to our economies. In true WE Global Network collaborative style, The New Americans Initiative of the City of Columbus' Community Relations Commission joined representatives of the Cincinnati Chamber of Commerce to form an Ohio delegation visit to the Twin Cities to learn about the Neighborhood Development Center's innovative work. The Columbus team reflected on the value of a joint effort with their peers in Ohio, the opportunities to leverage networks, the value of a culturally competent team, and of building from within. The Chicago Council on Global Affairs believes Chicago's unique character comes compliments of those who came here from somewhere else, and that if cities’ souls are shaped by their past generations of immigrants, it is important to recognize that their futures will be formed by their ability to embrace forthcoming waves of newcomers. The Council studied the incredible momentum of some of the most innovative work in immigrant integration being done in communities across the cash-strapped Midwest in its 2014 “Reimaging the Midwest” paper. Immigrant entrepreneurship and the WE Global Network were on display at the International Economic Development Council (IEDC) Future Forum, the largest forum for local economic developers and those that work in the field. WE Global Network members led a panel discussion on "Entrepreneurial Immigrants: Fostering Economic Development in the Adopted Communities." St. Louis Mosaic Executive Director Betsy Cohen and Global Detroit Executive Director Steve Tobocman joined Slater Barr, the President of the Sioux Falls Development Foundation, to discuss the economic potential of immigrant entrepreneurs and how they are helping communities across America. The panel discussion also focused on how local economic development priorities and initiatives can be adjusted to more fully integrate immigrant entrepreneurs, businesses, workforce, and talent. Betsy Cohen, St. Louis Mosaic Project; Steve Tobocman, Global Detroit; Slater Barr, Sioux Falls Development Foundation; Lyneir Richardson, IEDC. Earlier this month, WE Global members came together to advocate for the retention of international students and shed light on losing them, degrees in hand, to other countries. This talented group is educated in all the right places, could fill a very real need for companies that want to grow and create more jobs, and have a positive impact on our communities. International student retention programs like those at work in the Rust Belt can help keep this talented group in the region. Follow the hashtag #ImmigrantImpact on Twitter and Facebook to check out the buzz. Join Welcoming America to learn how to include refugees in your community's economic development opportunities - from creating inclusive training to culturally competent lending programs. You'll come away from the webinar with two promising practices to emulate and beginning steps to weaving economic development into your everyday work. Immigrants are crucial to America's workforce, and building up their skills benefits all Americans. 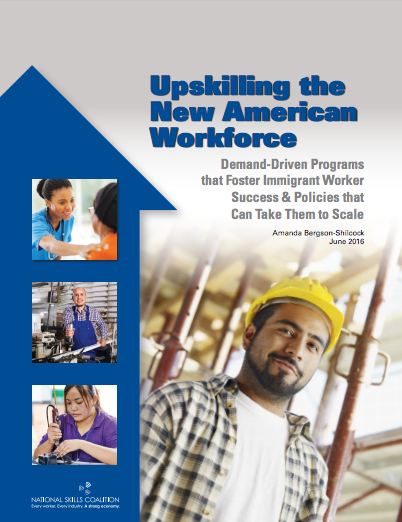 A new report by Amanda Bergson-Shilcock of the National Skills Coalition showcases seven program models that effectively serve immigrant workers to meet growing labor demands. The Partnership for a New American Economy (PNAE) released a research brief that highlights the economic and demographic contributions of immigrants in the Pittsburgh region, which shows that the 82,308 immigrant residents have a significant positive impact on the economy. Aging baby boomers are straining the healthcare system just as doctors themselves are retiring. In a Chicago Sun-Times op-ed, Nicole Fisher, author of the Council's recent immigration and healthcare report, argues immigration will be an important lifeline for healthcare labor. A New Jersey working group studied the unique challenges faced by immigrants in NJ as they try to access the adult education and workforce systems and reestablish their careers in America. Findings include a set of recommendations for opening up pathways of opportunity for talented newcomers. The WE Global Network aims to elevate the work of our members and bring attention to your innovative efforts, and one way we do that is by sharing your good work. Members, send us your media stories so we can share your successes in future newsletters. Copyright © 2016 WE Global Network, All rights reserved.